Enhance your company’s marketing objectives with Striata’s email & mobile messaging solutions. We can assist with the simplest marketing campaigns to the more complex, integrated and recurring marketing programs. 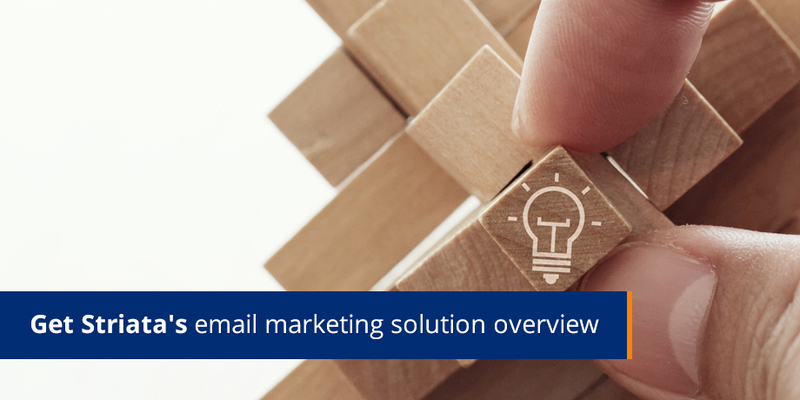 In this edition of eMarketing Insight, the spotlight is on Striata’s new eMarketing Solution Overview document. Looking for expert services in strategy, planning, execution and distribution of integrated digital marketing campaigns? Read on. Striata has the skills required to integrate campaigns and the infrastructure to distribute mass volumes off our platform, plus track activity and engagement. Detailed reports generated after each campaign enable our customers to effectively measure performance and return on investment. 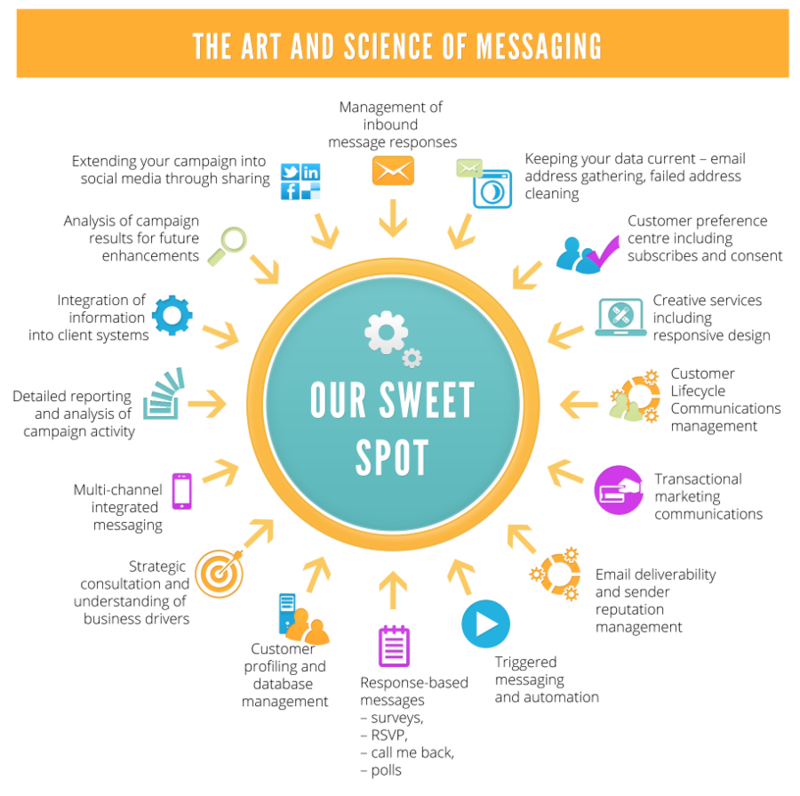 We can help you achieve and maintain successful customer lifecycle communications by leveraging the power of digital messaging.